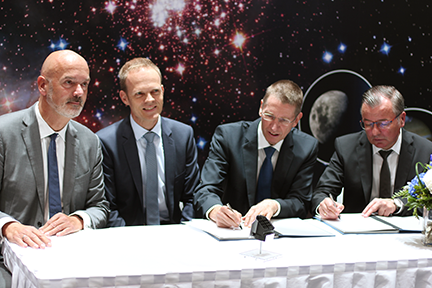 At the International Astronautical Congress (IAC), ESA Director General Johann-Dietrich Wörner and OHB Chief Executive Officer Marco Fuchs signed a contract naming OHB System AG, a subsidiary of listed space and technology company OHB SE, the industrial principal contractor for PLATO (Planetary Transits and Oscillations of Stars), the next major scientific research mission. The contract being signed at the OHB booth. From left to right: Andreas Lindenthal (COO OHB System AG), Thomas Henke (General Manager Structures, RUAG Space), Peter Guggenbach (CEO RUAG Space), Kurt Melching, CFO OHB System AG. 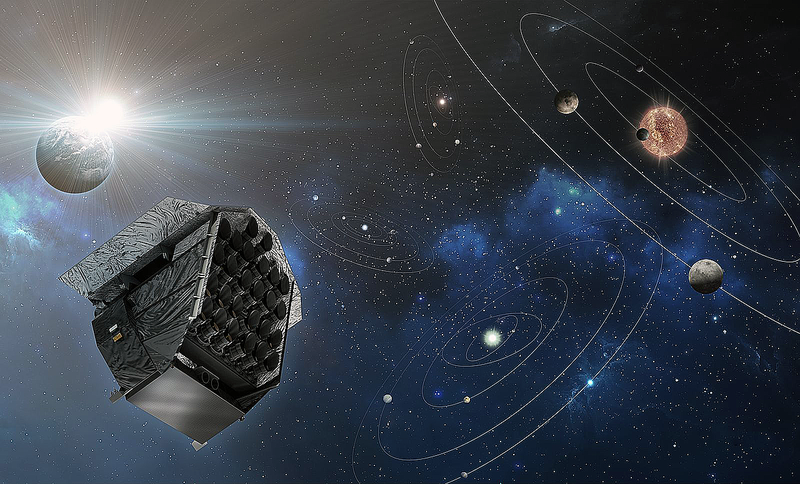 The European Space Agency (ESA) wants to launch the PLATO space observatory in 2026 to detect and study exoplanets that are orbiting other stars. The contract covers the delivery of the two ton satellite — with RUAG Space being part of the consortium around OHB. 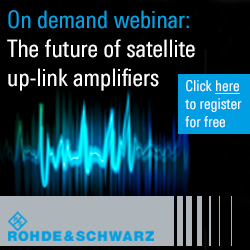 RUAG Space will contribute its experience in the field of satellite structures. Furthermore, the company will build the optical bench, which forms the “basis” for the integration of the optical payload, namely 26 roughly knee-high cameras, which are being developed and assembled by the PLATO Mission Consortium, a federation of various European research centers and institutes under the lead of the German Aerospace Center (DLR). As a sub-contractor to Thales Alenia Space, which will be a core team partner to OHB for avionics, RUAG Space will also provide its Electronics know-how for the PLATO mission. Precisely, RUAG will contribute to the development and production of the Data Handling system that controls the satellite, stores science data and handles all communication with the ground station. Artistic rendition of the PLATO satellite. OHB Chief Executive Officer Marco Fuchs said the plans that the company worked on with core team partners Thales and RUAG Space were evidently convincing.He is quite certain that the company will also live up to expectations during the implementation phase particularly, because the group's companies have been working together in a spirit of mutual trust for many years. Peter Guggenbach, CEO, Division Space, added that the firm is proud to be a part of OHB’s core team for PLATO and looks forward to a successful mission. Teaming up at such an early stage will have a positive impact on many aspects of the industrial process — such as project planning, on-time delivery, as well as cost management.